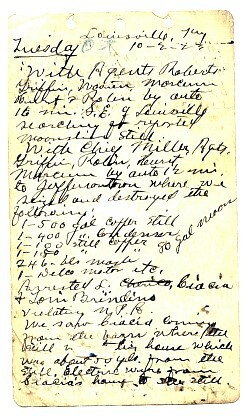 Having served in the Spanish American War, Captain of the first Tazewell Militia, Road Superintendent, Owner/Operator of the first Power Plant in Tazewell and Businessman, my grandfather decided that his calling was as a Prohibition Agent. 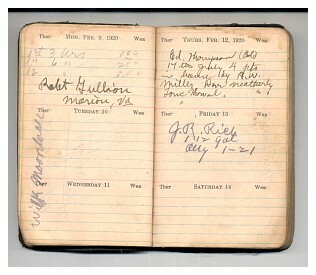 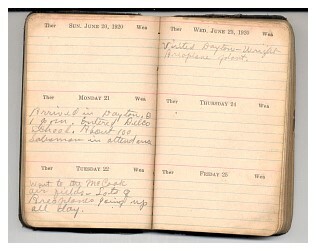 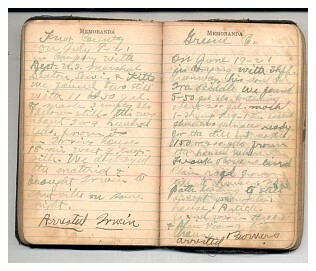 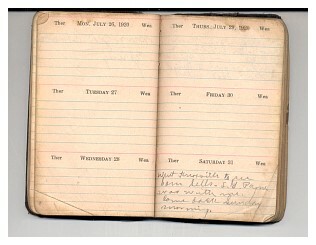 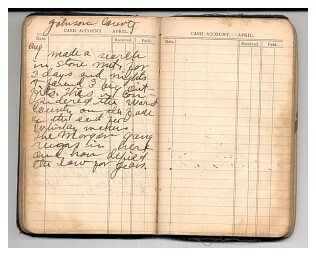 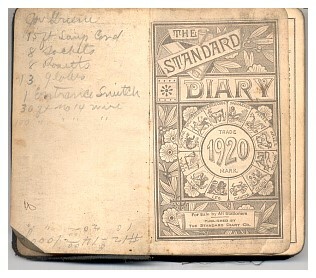 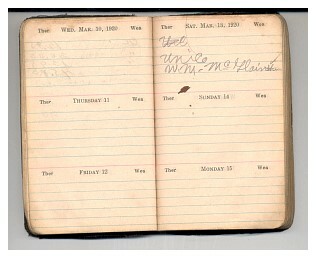 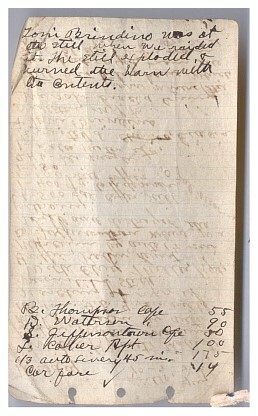 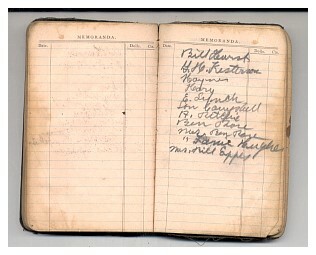 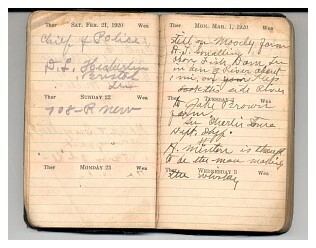 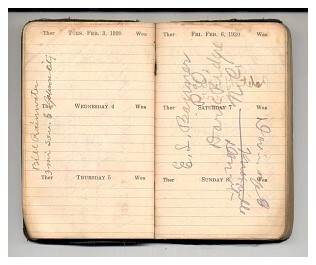 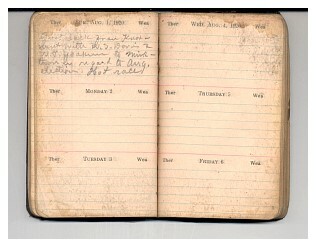 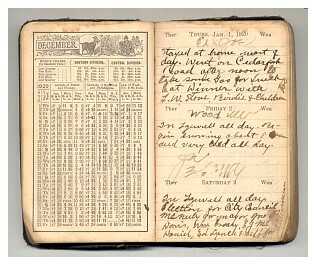 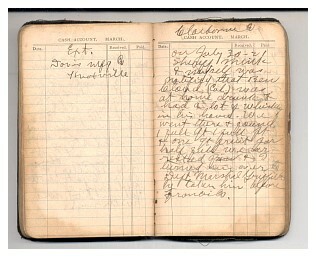 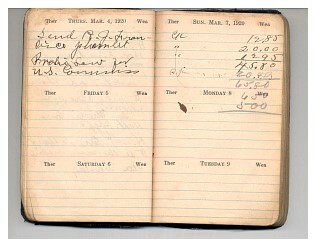 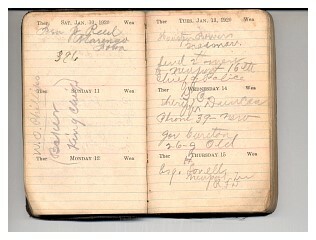 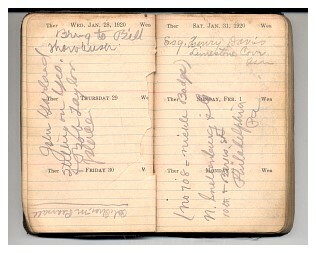 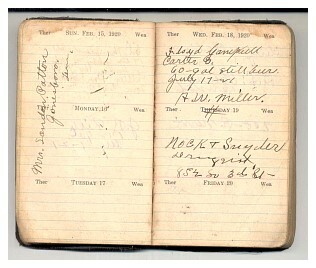 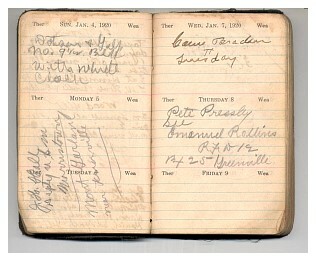 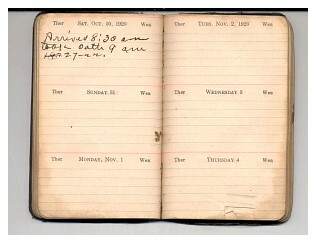 Below is the parts of the first of many of his diary's he kept through the years. 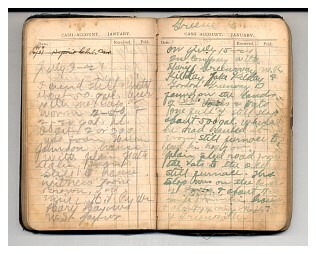 Prohibition began on January 16, 1920, when the Eighteenth Amendment went into effect. 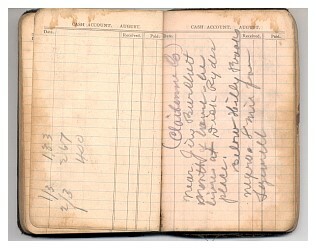 Federal Prohibition agents (police) were given the task of enforcing the law. 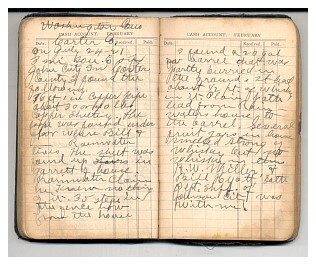 Principal impetus for the accomplishment of Prohibition were members of the Republican Party, the Democratic Party, and the Prohibition Party. 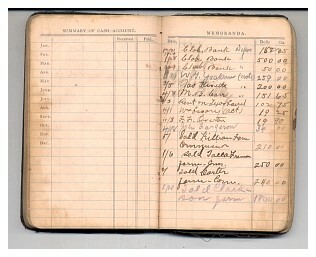 It was truly a cooperative effort with "progressives" making up a substantial portion of both major political parties.